Xiaomi has introduced MIUI 10 in China. Tnew MIUI 10 comes with Xiaomi’s Ai voice assistant along with full-screen hand gestures and improved recent menu that will take advantage of the full-screen bezel-less displays. Xiaomi is also introducing Driving Mode that takes full advantage of the Xiao Ai voice assistant to control the smartphone in a car, so users can safely use features such as navigating to a location and reply messages without touching the phone. It introduced a series of easy-to-use full-screen hand gestures which replaces the virtual on-screen buttons along with other additions like more content in the tiled taskbar and improved swiping gestures. Xiaomi smartphones with single-lens cameras by bringing AI bokeh effects, aka portrait shots through MIUI 10 even without a dual camera setup. Following the AI bandwagon, Xiaomi is also focusing too much on AI-assisted features that are aimed at making the UI more helpful and user-friendly. MIUI 10 can help decrease app load significantly. As it analyzes user behavior, the app load time can be reduced to zero. MIUI 10 also includes smart home integration which will allow users to control their smart home devices using Xiaomi phones. 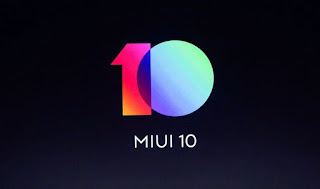 The internal beta version of MIUI 10 in China will be available from 1 June, while the public beta starts from late June for selected models including Mi 8, Mi MIX 2S and Redmi Note 5. The public beta for remaining models will start in late July. Global ROM is expected to roll out after that.